The $10,000 University of Arkansas award is generally split between the author and translator, and the winning book — or in this case books — are published by Syracuse University Press. According to the press, they are scheduled to come out in 2016. Al-Qasim, a beloved Palestinian poet, receives the award posthumously, as he died this August after a long battle with cancer. He was 75. Thus far, only one collection of al-Qasim’s works, Sadder than Water, trans. 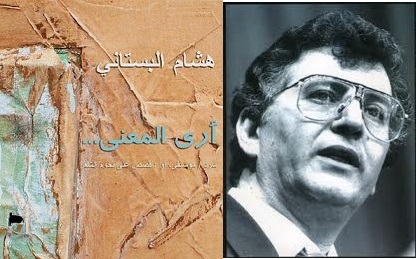 Nazih Kassis, has been published in English translation. This new translation is by Abdulwahid Lulua, an Iraqi writer and scholar living in the UK. His previous translation credits include Kuwaiti poet Souad Al-Mubarak Al-Sabah’s collection In the Beginning Was the Female (Dar Sader, 1994), and two of his poetry translations can be found here. Hisham Bustani is a young Jordanian author with four books out — the winning title, The Perception of Meaning, was his third. Although a number of his stories have appeared in English translation, this will be his first collected work. Back in 2012, Bustani and El-Rayyes did a Q&A with ArabLit about translating together.